Healthy Home™ is all about finding the right solution for your home’s insulation needs. Because cellulose insulation has a wide range of installation methods that suit different situations and applications, Healthy Home™ installs a lot of cellulose insulation in both newer and older homes throughout Westchester County. 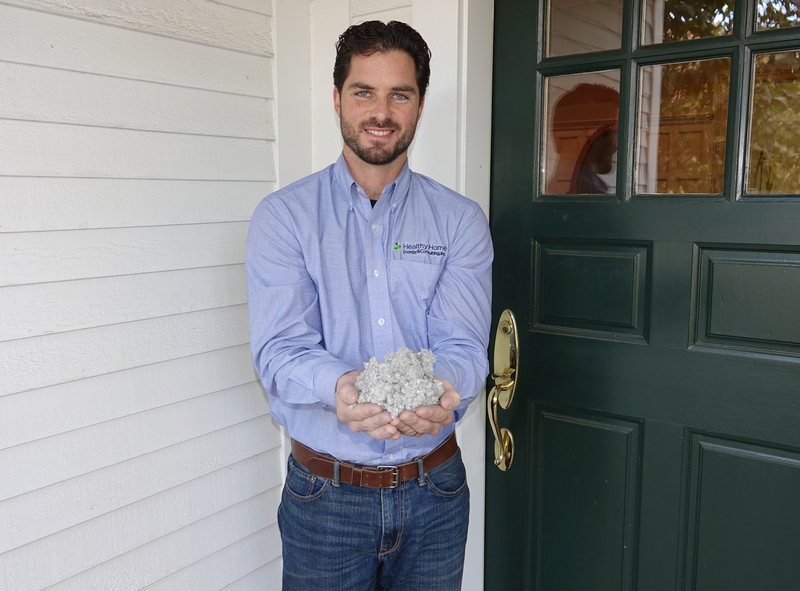 Cellulose strikes the perfect balance with high-performance and cost when it comes to improving your existing home to meet or exceed current energy efficiency standards. Our cellulose insulation is a recycled product with very low embodied energy, making it an environmentally-friendly choice. In attics over flat ceilings. After removing the existing insulation and air sealing the attic floor, it is blown in loosely to make an even, deep bed of insulation across the whole attic space. In the walls of existing houses, it is blown in as "dense pack" into the wall cavities, creating a proper thermal boundary and reducing the air leakage through the walls. In floors over garage spaces it is blown into the garage ceiling as “dense pack” providing an excellent thermal boundary and reduced indoor air pollutants and noise. In interior walls and floors “dense pack” cellulose provides superior sound attenuation. As a BPI Goldstar Contractor, Healthy Home™ brings industry leading home performance expertise to every project. Some contractors will tell you that adding cellulose insulation on top of your existing attic insulation is the way to go. DON’T DO IT! To reap the comfort, indoor air quality, and energy efficiency benefits, your old insulation must be removed and air sealing work must be performed before the cellulose insulation is installed in your attic. Healthy Home™ will pinpoint where insulation is needed in your home and provide you with a custom solution when you book us for a energy assessment. Check out our video on loose fill cellulose insulation to see one of our professional installation jobs in process! Cellulose could be a great option for your home!